All services begin with this step. 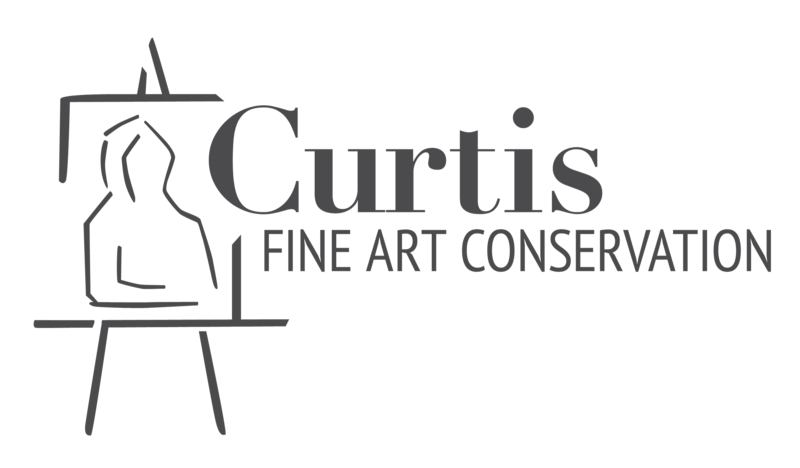 Your painting will be closely inspected to determine its conservation needs. The use of multiple types and directions of light are utilized, including ultraviolet light and visible light from various angles. The latter includes raking light, or a light source that is parallel to the picture plane, and specular light, with a light source that is perpendicular to the picture plane. Examination with each type of light offers different information about the painting’s condition and previous restorations, in addition to planar and surface irregularities. A camera with limited, near infrared capabilities sometimes offers additional information about a painting, such as clarifying an inscription. A binocular stereomicroscope is often used for further study and to help answer questions about the painting.